Pancake Parlour has a strong social media army and high levels of engagement with their audience. In an effort to continue to interact with their audience as well as grow their new lovely rewards program Pancake Parlour turned to Sharp Instincts for support on an upcoming promotion. The promotion was that anytime the weather reached below 15 Degrees Celsius, signed up users would be eligible for a “winter treat”. Depending on how cold the temperature was outside would dictate the offer available to their rewards members. The problem however is that with so many weather apps and differing points for the exact temperature Pancake Parlour needed to provide a transparent point of truth that everybody would be happy with. To ensure accuracy and transparency in the results, Sharp Instincts integrated the live temperature feed directly from the Bureau of Meteorology (BOM) and at a specific measuring tower point at Melbourne Airport. The idea behind the strategy was to provide one clear point of truth for both Pancake Parlour and it’s customers. 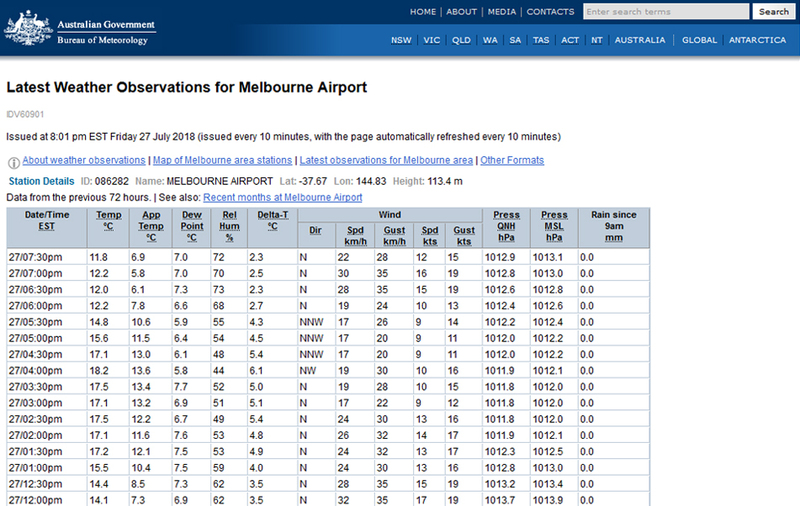 This specific measuring point also ensured fairness for Pancake Parlour’s members in terms of pricing as the Melbourne Airport BOM reader was regularly a few degrees colder than Melbourne CBD. 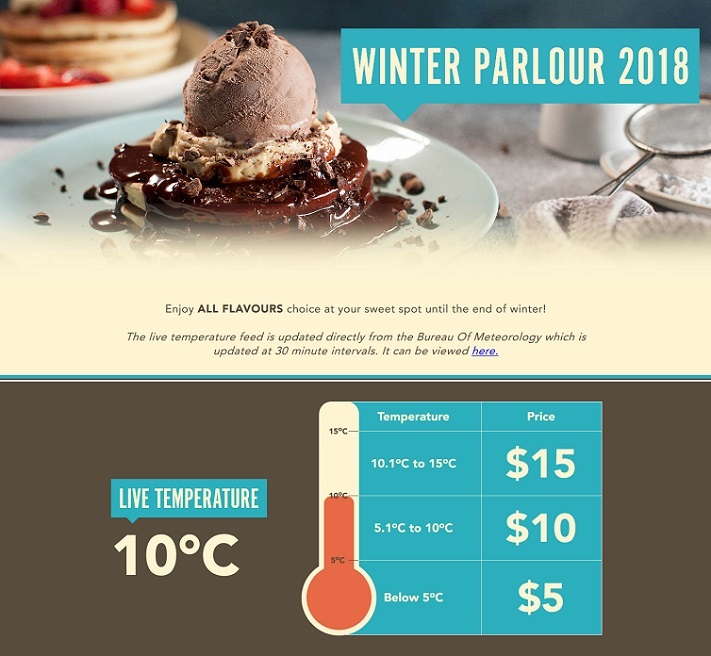 The outcome for Pancake Parlour was a live temperate that kept their Pancake Parlour rewards members clicking refresh hundreds of a times a day but also delivering results & redemptions to the bottom line for Pancake Parlour. 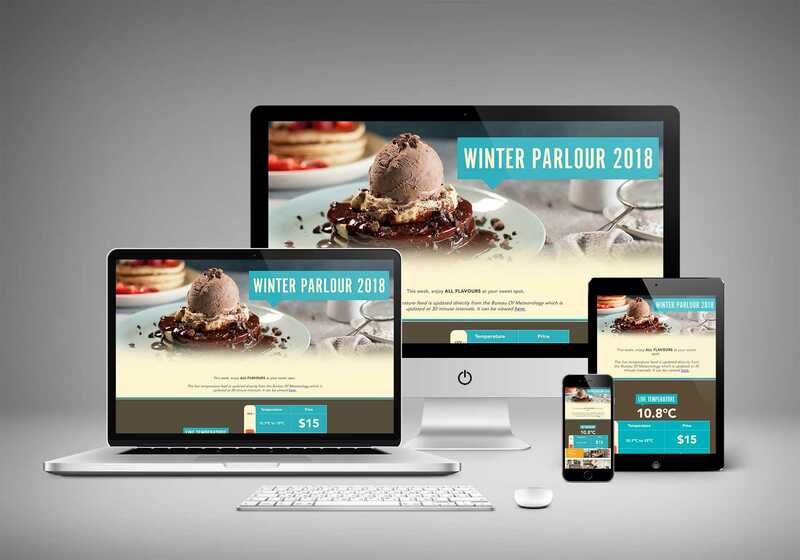 A well integrated and strategically created campaign helped Pancake Parlour increase their sales and the average customer spend per a visit. "Sharp Instincts solution in a timely and efficient manner helped us achieve our goals in terms of redemptions and sales figures. Thanks Sharp Instincts."